The Dew Tour in Breckenridge, Colorado was the first of 4 Olympic qualifying events for slopestyle and superpipe this past weekend. When the snow settled, it was Jamie Anderson from S. Lake Tahoe that took the win in slopestyle snowboarding. Elena Hight from S. Lake Tahoe placed eighth in snowboard superpipe. Maddie Bowman, S.Lake Tahoe, won the freeski superpipe competition. For the men, Chas Guldemond from Reno, NV finished fifth in snowboard slopestyle and secured a spot on the U.S. Olympic Team. Shaun White, Northstar Team athlete, sat out the slopestyle event due to an ankle injury. 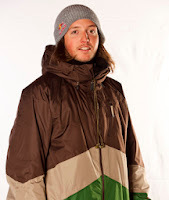 White was second place to Greg Bretz in snowboard superpipe. David Wise, from Reno, NV won the men’s freeski superpipe competition with three solid runs that put him nearly 3 points ahead of second place Aaron Blunck. December 16-22, Copper Mountain Grand Prix. January 8-12, Northstar cancelled! Event moves back to Breckenridge. January 14-19, Mammoth Mountain Grand Prix (two halfpipe and two slopestyle finals). The event at Northstar will feature both halfpipe and slopestyle events. The 22-foot halfpipe is under construction on Cat’s Face. The slopestyle venue will be on Pinball. The finals will be broadcast on NBC Sports.